The release of the PlayStation 4 Pro marks a divisive new era of console gaming that has me conflicted. Consoles are appealing because they’re easy to setup, require little to no maintenance and do one thing really well: play video games. PC players will argue that their platform is the superior video game playing device, and they’re not wrong. PCs have almost always been more powerful than consoles and can be modularly upgraded, unlike consoles. This means that if you’ve purchased the right tower and motherboard, in some cases it can be over a decade before your gaming rig becomes completely obsolete, as long as you’re willing to fork over the money to ensure your precious personal computer is equipped with relatively modern hardware. But PCs are also complicated devices. Upgrading internal hardware still isn’t as easy as PC gaming fanboys would like you to believe — yes, for the most part, graphics and processors are plug-and-play now — installing the latest drivers remains an issue, and in some cases getting a game up and running can take multiple hours. Tasks that the PC gaming community finds simple can seem insurmountable to the average person. Consoles, however, have evolved significantly over the last decade and slowly become more PC-like. They now force players to install games on their hard drives and frequently receive software updates for both games and their operating systems, preventing gamers from jumping directly into the experience, a one-time staple of console gaming. One fact has always remained constant when it comes to modern consoles, however, even with the release of the PS4 and Xbox One. If you buy a console, you know you have the latest, greatest tech from the company of your choice for at least the next few years, regardless of which video game hardware manufacturer you prefer. With the release of the PlayStation 4 Pro, the concept of a traditional video game console has shifted. It’s important to point out that this isn’t necessarily a bad thing. Video game systems need to evolve as the technology industry continues to push forward. 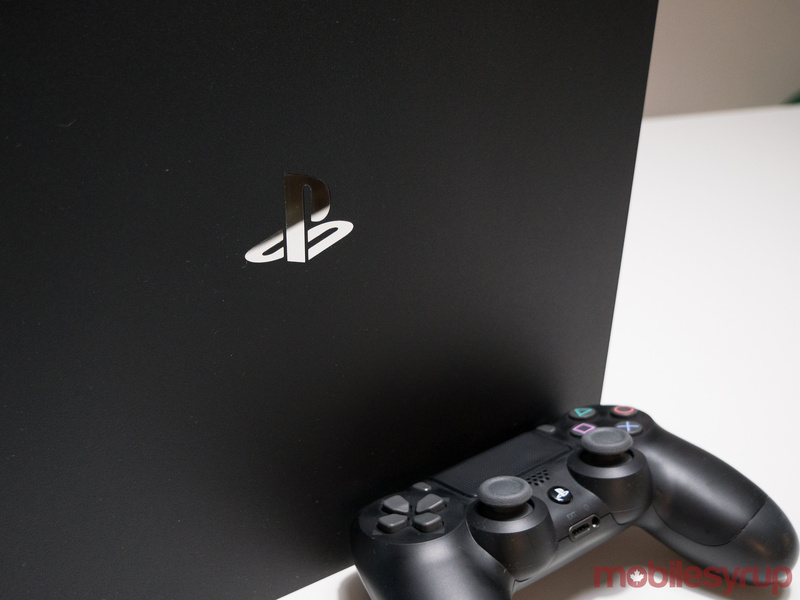 With hardware moving at a faster rate than ever before, to a certain extent it makes sense for Sony to release an upgraded version of its now three-year-old PlayStation 4. Aesthetic revamps also aren’t anything new, though this is the first time a console manufacturer has released a more powerful, mid-generation upgraded system. The main question surrounding Sony’s PlayStation 4 Pro is whether or not the new system is actually worth the upgrade. So I’ve set up the PS4 Pro with the 55-inch Vizio M-Series 4K TV with HDR (which I’m also in the process of reviewing) and put the system to the test. With the PlayStation 4 now hitting 50 million consoles sold, it’s safe to say that Sony’s console has been a monumental success, outpacing Microsoft’s Xbox One in terms of sales at a significant pace. The PS4 Pro is essentially a PS4 with better internal hardware that’s designed to improve the performance and visuals of games beyond what the standard PlayStation 4 is capable of. Not every game released for the PS4 takes advantage of the PS4 Pro’s hardware, however, though all future PS4 games will feel some level of graphical upgrade, but in some cases it’s unclear what every enhancement actually does. Most titles feature improved frame rates, a higher output resolution with better textures — especially in the case of select PlayStation VR games — and HDR support. Only a small number of current titles support the PlayStation 4 Pro, with The Last of Us: Remastered and Call of Duty Infinite Warfare being the two most notable examples. Starting next year, though, upcoming anticipated titles like Horizon Zero Dawn (which looks spectacular), Days Gone and Mass Effect Andromeda will feature various visual enhancements. Furthermore, Sony says that every PS4 game released from now on will feature Pro-powered perks. So while some may not feel the PlayStation 4 Pro is viable currently, the console could become more worthwhile in the near future, especially for those who care about visual fidelity. Also exclusive to the PS4 Pro is improved bandwidth when using remote-play and share-play options, features that allow players to stream PS4 games over the internet or a home Wi-Fi connection, to desktop computers and Sony’s handheld the PlayStation Vita. 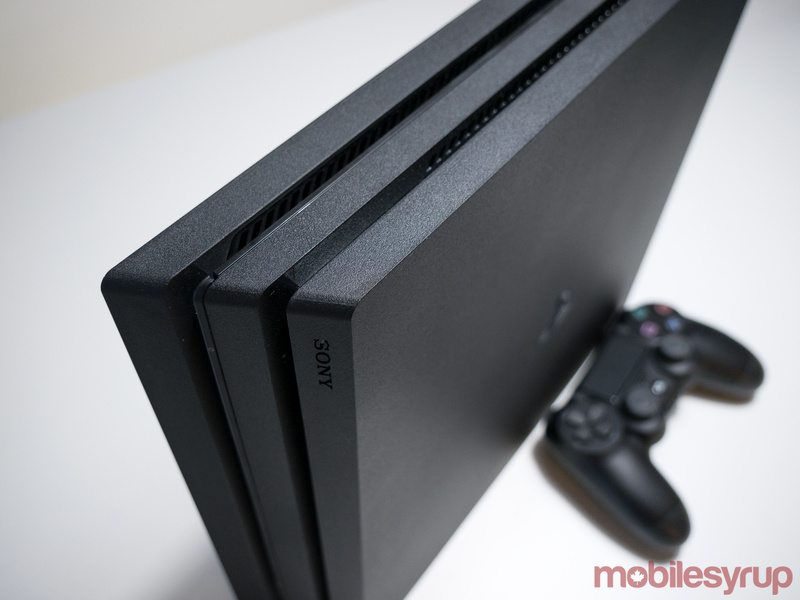 With the Pro, remote-play’s resolution has been bumped up from 720p to full 1080p HD resolution. 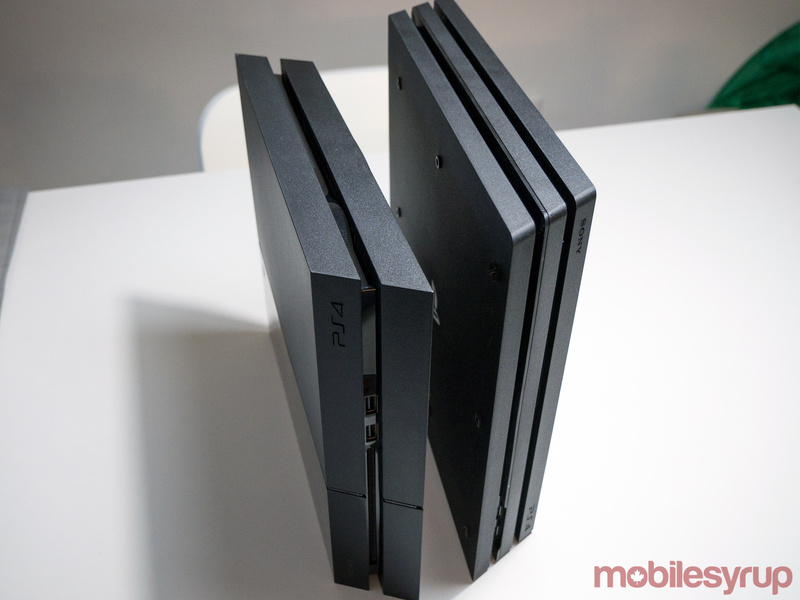 The PS4 Pro looks a lot like a beefier PlayStation 4 Slim, though its footprint is slightly larger and the system is actually bulkier than the original 2013 PS4. 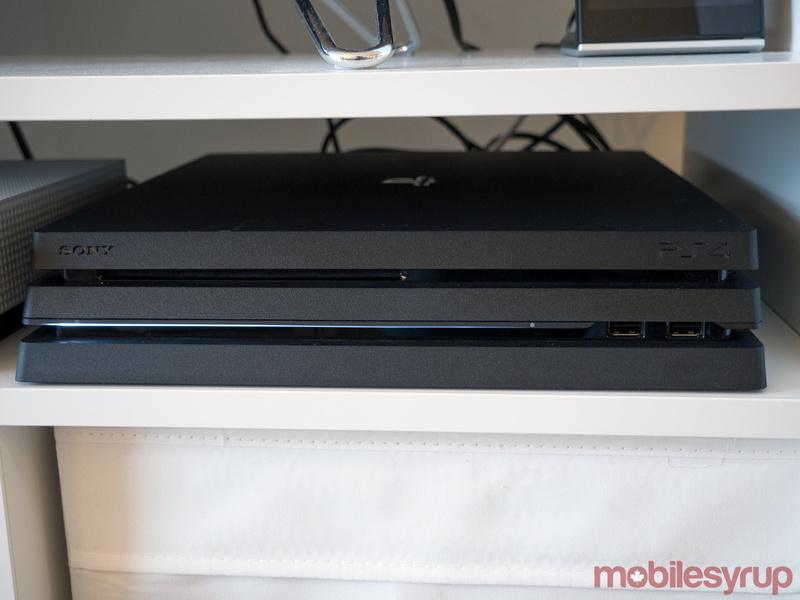 If you compare the upgraded console to Sony’s PS4 Slim, the PS4 Pro looks positively enormous. Thankfully the Pro brings back the optical audio out port that the Slim removed and adds additional USB storage on its rear. The console also supports the fastest Wi-Fi protocol currently available, 802.11ac, with the ability to utilize a 2.4Ghz or 5Ghz signal thanks to dual-band support. Overall, the PS4 Pro isn’t an attractive console. It’s considerably bulkier and larger than its predecessor, especially when compared to Microsoft’s recently released Xbox One S, the Seattle-based tech giant’s own, somewhat incrementally upgraded video game console. The biggest draw of Sony’s PlayStation 4 Pro is its ability to output content in 4K resolution. At launch, the PS4 pro is capable of playing back content on Netflix and YouTube in 4K with HDR compatibility. 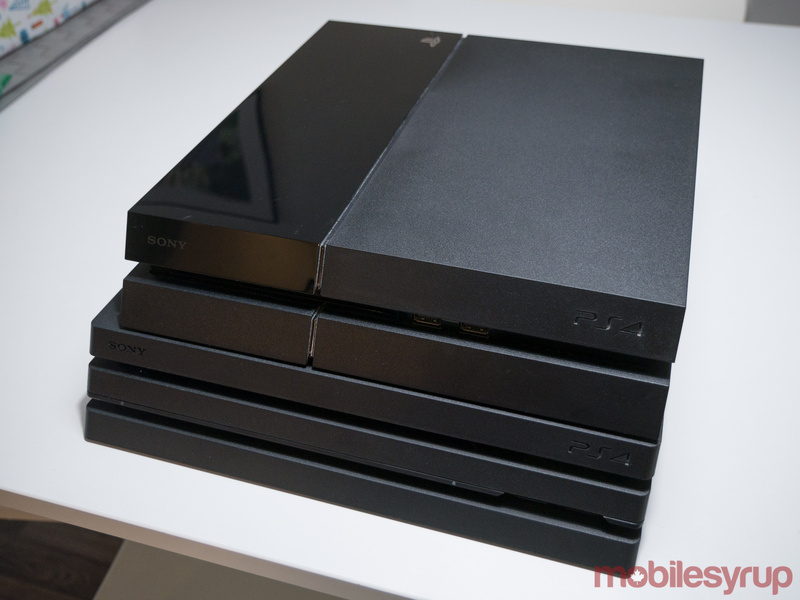 Sony says that more apps will soon support 4K and HDR in the near future. 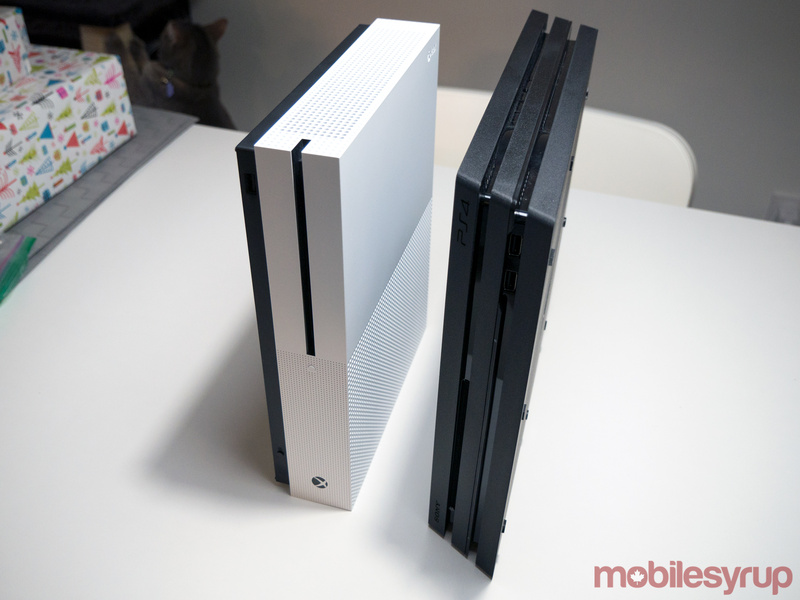 Sony’s upgraded, new console, however, doesn’t have 4K Ultra HD Blu-ray playback, a bizarre decision on the company’s part and a major omission considering the Xbox One S can play Ultra HD Blu-rays. 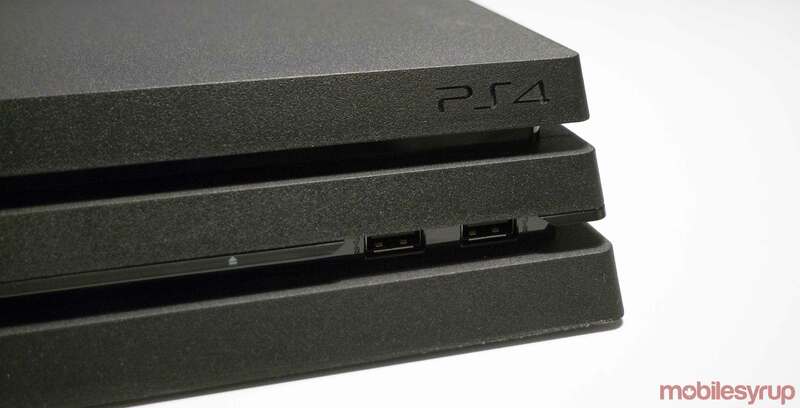 It’s likely that in the future most 4K content will be streamed over the internet, but the ability to play physical 4K discs should have been a prominent feature included in the PlayStation 4 Pro. The most significant issue the PlayStation 4 Pro suffers from is whether or not the console actually has the hardware power to render games in true 4K resolution like Sony claims. I don’t have the hardware knowledge to definitively know if the console is capable of real 4K, but experts far more intelligent than myself say that the PlayStation 4 Pro is not powerful enough to render high-end games in 4K. It’s likely that less graphically intensive independently developed games will natively run in 4K, but even this is up for dispute. Considering PCs with significantly more powerful hardware than the PS4 Pro have problems rendering 4K graphics at even 30 frames per second, it’s difficult to believe that the Pro can truly output such a technically demanding video signal without some level of serious visual compromise, whether that’s a lower framerate or pushing less polygons. I’ve tried a handful of titles with the PS4 Pro and all experienced a visual upgrade to some extent. The Last of Us: Remastered for instance features improved image quality, but no noticeable frame rate increase, though HDR does allow for brighter highlights, adding a new level of depth to the game’s video. Sony says that PS4 Pro owners still using 1080p HDTVs will also see a minor upgrade in performance when using the console, though the difference is even less noteworthy (I only tried this with a few games). Whether or not the PS4 Pro is worthwhile right now is a difficult question to answer. The PS4 Pro is a niche product vying for a small audience that’s very interested in visual fidelity. That particular audience, however, likely already owns a high-end gaming PC if they truly care about how good their games look and 4K resolution. The release of the system also fundamentally alters how the console video game industry has operated for the last two decades, setting a somewhat dangerous new precedent. That said, the PS4 Pro has a lot of potential, particularly when it comes to PlayStation VR, which I’ve only briefly tried with the console. 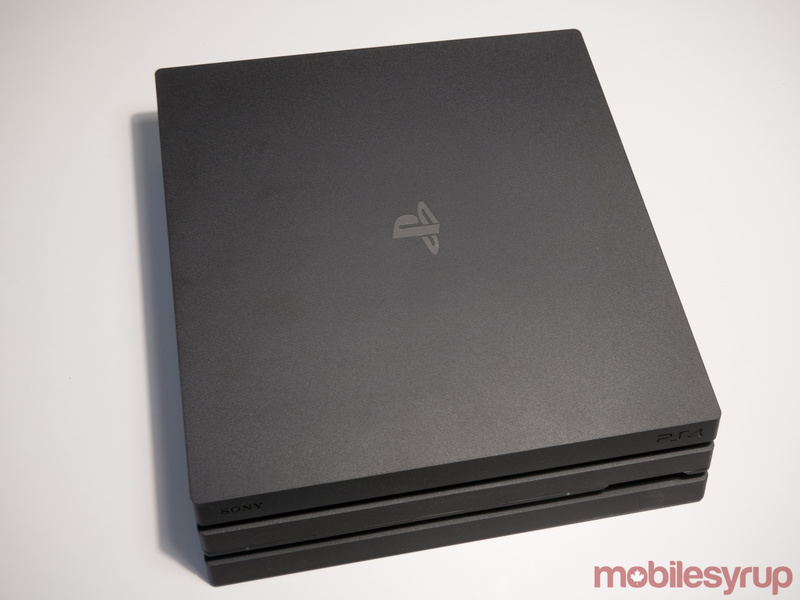 The PS4 Pro could evolve into a worthwhile device and act as a viable stop-gap measure before the release of the inevitable PlayStation 5 and Microsoft’s Project Scorpio, which continues to loom ever closer. There is a significant possibility this could end up being the case, with Sony stating that 45 games will support the system by the end of 2016. If you’re willing to shell out $499 for the latest, greatest video game console on the market, and have already invested in a 4K TV, then the PlayStation 4 Pro is probably worth a purchase, especially if you value visual fidelity in your console games. Everyone else, however, is better off waiting a few more months to see if more titles actually take worthwhile advantage of the slightly more powerful console. 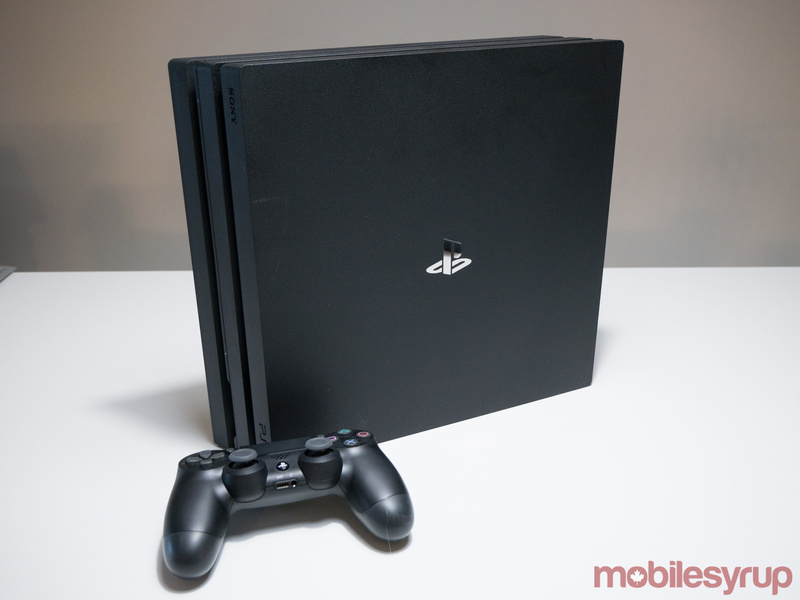 If you're willing to shell out $499 for the latest, greatest video game console on the market, and have already invested in a 4K TV, then the PlayStation 4 Pro is probably worth a purchase, especially if you value visual fidelity in your console games. Everyone else, however, is better off waiting a few more months to see if more titles actually take worthwhile advantage of the slightly more powerful console. "Whether or not the PS4 Pro is worthwhile right now is a difficult question to answer"